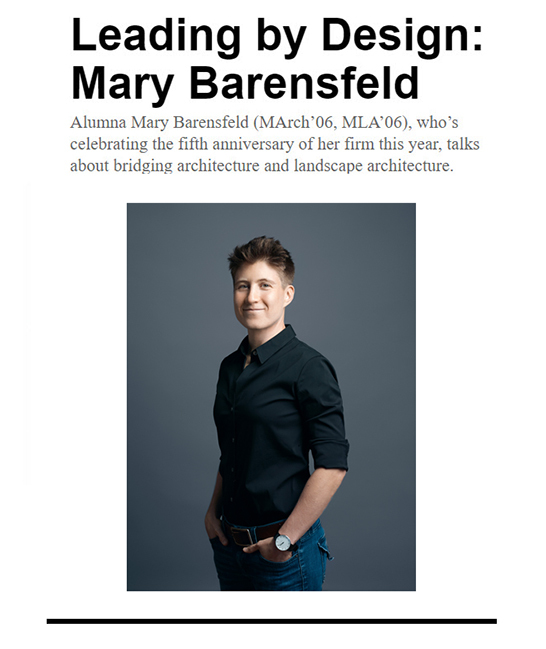 Mary Barensfeld (M’Arch’06, MLA’06) likes honesty and integrity, especially when it pertains to architecture and landscape architecture. She enjoys exposed structural details—seeing how a project is held up, or put together. “I don’t like to hide it,” she says. Barensfeld describes a project she worked on outside Pittsburgh, where she used hand-hewn White Oak beams from a collapsed 1800s timber-framed cabin to construct additions to a single-family home. Meticulous by nature and by practice, Barensfeld talks with passion and enthusiasm for architecture and landscape architecture, which she’s managed to merge since her time as a dual-degree master’s student in both fields at PennDesign. 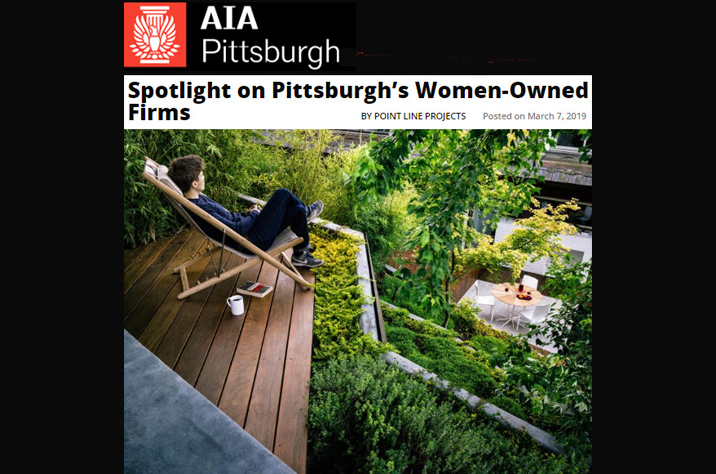 Through her firm, Mary Barensfeld Architecture, which she started in 2013, Barensfeld has melded the two complementary disciplines into one design process, creating art for her clients, while also solving programmatic issues. What drew you to PennDesign? I didn’t know as much about the interdisciplinary qualities of PennDesign when I first started, but while I was there it became pretty obvious to me that it was a huge asset. The chair of the Department of Landscape Architecture was Jim Corner, whose firm designed the High Line in New York and other very well-known projects. Combining PennDesign programs, like I did, in architecture and landscape architecture, just made sense to him. He was encouraging people to take a more wholistic approach, and PennDesign made it easy to get a dual degree. Why wouldn’t you do it? You’re only broadening your perspective, it will only help you, and the School has all these amazing faculty members ready and willing to assist you in figuring out ways that you can mesh all the different disciplines together. PennDesign also offers great opportunities. For example, I was able to go to Japan on a six-week summer program, which was really formative. Japan is a good example of not only modern architecture and landscape, but the synthesis of those two disciplines, with very old sites juxtaposed with layers of stark geometric design. Being able to travel is a necessity for designers, to see other parts of the world and other creative solutions by other cultures. What’s been your journey since you graduated? I quickly realized that it was hard, and still is, to find firms combining architecture and landscape—they’re rare. I decided I wanted to try to learn all of the nuts and bolts aspects of design, and get design experience, with the intention of someday starting my own firm. I ended up first at an engineering firm in the Bay Area, working for a couple years doing both architecture and engineering. Then I worked at a series of architecture firms. In 2013, as I was starting to moonlight on the side and received positive feedback on the stuff I was doing, I just decided, ‘Hey, let me try this on my own.’ I do work in both Pittsburgh and the Bay Area. 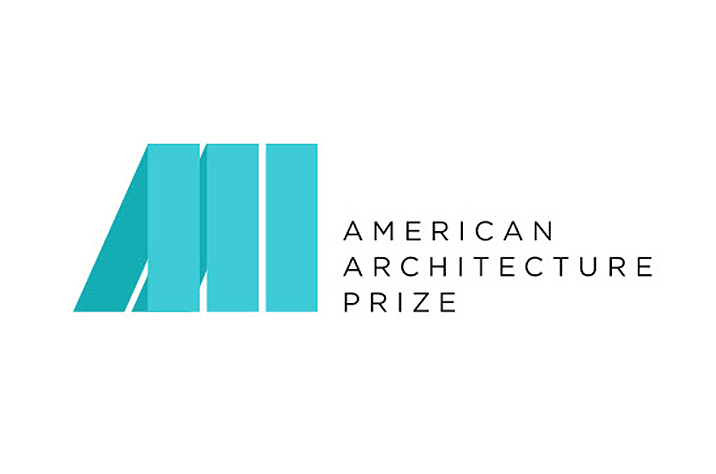 What has it been like running your own architecture and landscape architecture firm? I pour my heart and soul into each project that I do. I’m extremely detail-oriented and I care about having a good concept to knock it out of the ballpark. I think my clients are surprised by the level of attention I give. I’m trying to give them something that they weren’t anticipating and have never seen before. For every project, I’m really trying to reimagine what the solution is. It’s also important to try to search for beauty. I don’t think it’s very popular these days to say that you are trying to find beauty or create beauty, but to me that’s really important. My solutions build upon roots in modernist architecture and landscape, and I emphasize and synthesize interior and exterior spaces. Architecture doesn’t stop with the building. Landscape and architecture should meld into one design process. I’d also add that there is no one stylistic solution; the style is going to be determined by the context and what is structurally most sound or fit for the solution. It is what the clients want, but also my own creative, artistic solution that may be a synthesis of my love of classical architecture or Japanese modernism or clean Danish design. I don’t like to go into a project thinking it’s going to have one stylistic outcome. Your Hilgard Garden earned the ASLA-NCC Residential Design Award and was one of 9 garden projects around the world featured by Architectural Digest. Tell me about it. It’s located in the backyard of a 1964 Berkeley, California, townhouse, and has a meandering ramping path with different kinds of aromatic groundcovers. The garden became a sculpture garden with three Japanese maples that move your eyes up the hill. You realize that this is not a flat wall in front of you, but rather a ramping system you can walk up to get a view of Sutro Tower or San Francisco. To avoid swallowing large swathes of the backyard square footage with a conventional stair, angular, board-form concrete walls with occasional steel armor slice their way up the hill while providing terraced planting areas. Architecture, landscape architecture, and engineering are the highest art forms to me (opera is a close second)—you create beauty and strive for art but have to solve programmatic requirements, as well as safety and code issues. This garden project somehow grabbed people’s imaginations. You never know if a project will have that magical, intangible quality you’re searching for until it’s built and inhabited: There was something about this garden where everything just fell into place. previous post: MBA Wins AAP Award!